Glory Boughton has returned to Gilead to care for her dying father. Soon her brother Jack - the prodigal son of the family, gone for twenty years - comes home too, looking for refuge and trying to make peace with a past littered with torment and pain. Brilliant, beguiling, lovable, and wayward, Jack forges an intense new bond with Glory and engages painfully with John Ames, his godfather and namesake. 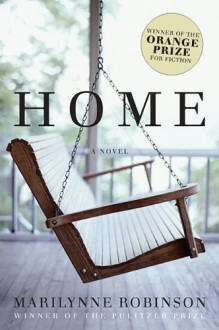 A moving and healing book about families, family secrets, and the passing of the generations, about love and death and faith, HOME is an unforgettable embodiment of the deepest and most universal emotions.